It is a surgical procedure for weight loss and control of metabolic diseases (Metabolic Syndrome); in which the stomach is divided into a small upper bag and a much larger lower "remnant" bag, and then the small intestine is rearranged to connect to both. It leads to a marked reduction in the functional volume of the stomach, and an altered physical and physiological response to food. It is prescribed to treat morbid obesity (BMI greater than 40) or above 35 associated with Type 2 Diabetes, Hypertension, Sleep Apnea and other comorbid disorders. 1.- Arrival of the patient to the hospital. - 5 small incisions are made in the abdominal wall. a) Biliopancreatic loop: the small intestine is divided approximately 45 cm below the outflow of the lower stomach and it is re-organized in a Y configuration, this loop carries bile juices and pancreatic enzymes. b) Food handle: a segment of the small intestine joins the gastric pouch and connects with the biliopancreatic loop at 2-2.8 meters. - Trans operative tests are performed with dye to verify the tightness of the joints. 3.- The next morning a test is done through water-soluble contrast and fluoroscopy to verify that there are no leaks and that liquids are not going to the intestines. 4.- The patient will start taking in clear liquids and will experience a quick sensation of satiety after the ingestion of small amounts of liquids. That day the patient will remain under observation. 5.- If there were no complications, the patient could be discharged. - Vitamin, calcium and protein supplements will be prescribed on a long-term. - The patient must get periodic determinations of blood markers on different nutrients such as: iron, vitamin B, vitamin A, proteins, folates, and vitamin D.
- One month after the surgery, the patient will be able to perform a sport of choice. Recent studies have found that it is safe and effective as long as bone maturity has been achieved; In the case of women, it is highly recommendable to do it after achieving satisfied parity. Theoretically, Gastric Bypass surgery can be reversible. However, this is a much complex procedure, with significantly more clinical risks for the patient and, therefore, it is only done in extreme circumstances. The patient must understand that Gastric Bypass surgery is a lifelong commitment. 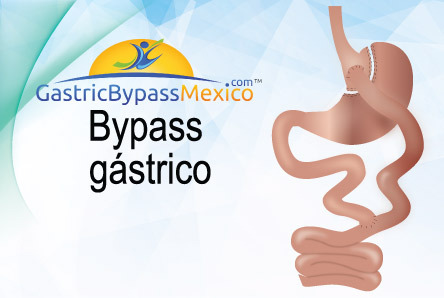 Gastric Bypass is considered one of the most performed operations among bariatric surgeries, and it has been performed all over the world for more than six years. It is not advisable to consume alcohol during the first six to eight weeks after the surgery. Keep in mind that Gastric Bypass surgery causes alcohol to be absorbed faster and patients often feel intoxicated quicker, even with smaller amounts. In general, there is a minimal scaring. In Laparoscopic surgery, a long incision is not performed. Instead, the Surgeon makes five small incisions through the upper abdomen and these are closed, either with surgical glue or soluble staples. Scars are usually healed in two or three weeks, and their appearance fade away with time. Most patients experience a dramatic appetite reduction after having a Gastric Bypass surgery. It is recommended that patients follow a healthy diet to minimize any cravings, along with cutting back on unhealthy foods. The 30-day mortality rate for patients undergoing Gastric Bypass surgery is 0.14%. This is less than in a hip replacement surgery or gallbladder surgery. For about two weeks after the surgery, a liquid diet should be followed, as bloating between the new stomach pouch, the small intestine that reduces digestive capacity and the staples used to fix this new pouch is likely to occur, which must be protected from stretching. Patients often experience a dramatic reduction in appetite and usually feel satisfied after a couple of tablespoons. As the recovery progresses, small amounts of solid food will be introduced into the diet, and the most common solid foods will be introduced three months later. Patients are encouraged to follow a healthy and nutritionally complete diet to maximize weight loss, and your Doctor will work with you to develop a diet plan in each of the recovery phases. Patients with a Gastric Bypass are usually recommended to take a high-quality multivitamin, calcium, iron and vitamin B12. After two weeks from the surgery, the patient can be prescribed a proton pump inhibitor to protect the stomach and control acid secretions. This information will be given to you by your Doctor before the surgery. Generally, patients will remain in the hospital for three to five days after the surgery. This period may be longer due to different circumstances that your Surgeon will inform you about. Weight loss is usually faster right after the surgery, since the diet is limited. On average, patients will lose around 10 to 14 pounds each month, and it is recommended to them to follow a healthy and nutritionally complete diet, along with exercise to maximize weight loss. Generally, patients can expect to lose between 10 and 14 pounds per month during the first year after their surgery, this depends on their initial weight at the time of the procedure, the time invested in exercising and if how they follow their diet. Patients can lose between 50% and 80% of their excess weight in 12 to 18 months.